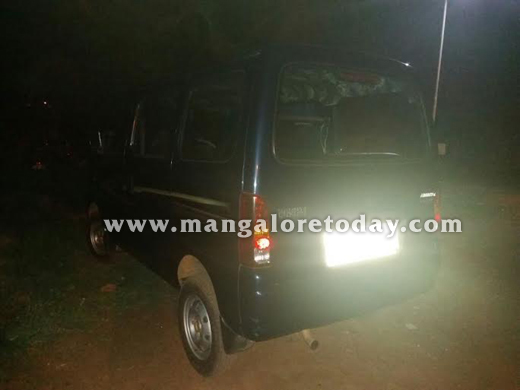 Belthangady, May 23, 2015: It has been alleged that an attempt was made to kill Praja Prabhutva Vedike leader Mahesh Shetty Timarody by getting him mowed down by a Scorpio vehicle at Ujire on May 22, Friday. The accused has been identified as Srinath Prabhu who is said to be a classmate of Timarody. As per information available, Prabhu who was driving his vehicle tried to mow down Timarody after stopping the latter’s car saying he had to speak to him. It is said, as Timarody alighted from his car, Srinath began to drive his car in an erratic fashion reportedly with an intention of killing Timarody. 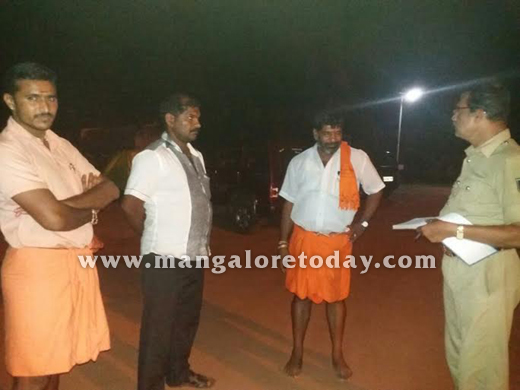 Sources said large number of supporters of Timarody who gathered at the spot, later assaulted Srinath Prabhu. 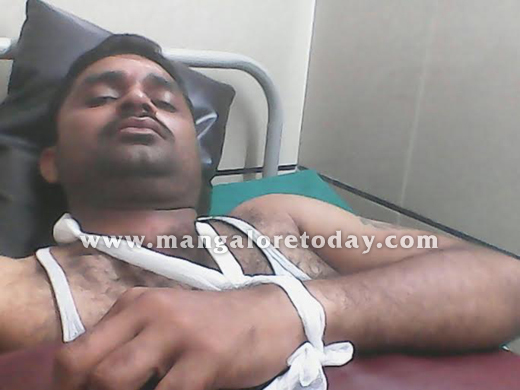 Srinath and two others who were injured in the melee were also hospitalised. The Scorpio vehicle has been taken into custody by the police. Later, Timarody’s supporters even staged a protest outside the police station.